C) Echocardiographic evidence of valvular vegetation. 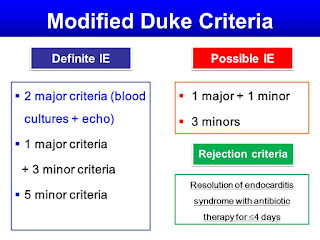 The correct answer is “E.” The modified Duke criteria were developed to provide clinicians with standardized criteria for the diagnosis of endocarditis. They have been validated by pathologic examination and are more sensitive than other endocarditis criteria systems. The sensitivity of blood cultures for endocarditis and bacteremia is directly related to the amount of blood taken for culture and the number of cultures drawn. 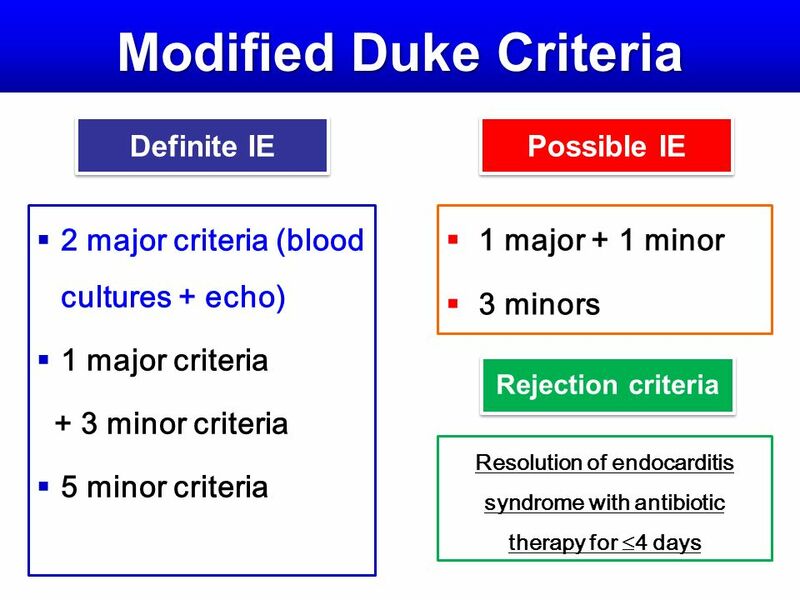 Three sets of blood cultures are recommended for suspected endocarditis, and at least 20 mL should be drawn for each culture. Timing of blood cultures is less important, but sick patients should have the cultures drawn in rapid succession (e.g., over an hour or 2).